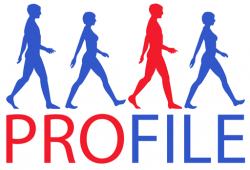 PROFILE is a randomised, multi-centre, biomarker-stratified, open-label trial in patients newly diagnosed with Crohn’s disease. PROFILE aims to demonstrate that a prognostic biomarker can enable delivery of personalised therapy in Crohn's disease, and that this improves clinical outcomes. PROFILE will recruit trial participants at approximately 50 acute hospital trusts across the UK. PROFILE aims to recruit 400 adults with newly diagnosed Crohn’s disease. Newly diagnosed is defined as within the last 6 months. The PROFILE trial is being funded by the Wellcome Trust as part of their translational grant award funding stream.